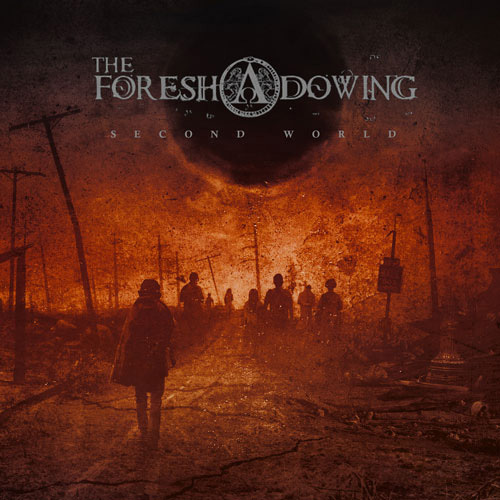 Metal Blade Records will be releasing the two most recent albums from Italy’s, The Foreshadowing, throughout North America on August 14th, 2012. The Italian band, originally founded in 2005 by Alessandro Pace, has released three full length albums, two of which were previously unavailable in North America. Fans can now preview, and order both Oionos and Second World at metalblade.com/theforeshadowing. Second World is loaded with visionary and cinematic atmospheres combined with powerful doom metal riffs and promises to be the most ambitious album thus far for the Italian band. The album has been mixed and mastered by DAN SWANÖ at UNISOUND STUDIOS (Orebro, Sweden), while well-known artist TRAVIS SMITH worked on the album illustrations and design. The Foreshadowing will be performing on July 13th at Rockharz Open Air 2012 with Amon Amarth, Blind Guardian, Paradise Lost, and more. More info can be found on rockharz-festival.com. Stay up to date with new show information on the band’s facebook event page HERE.